‘Wien ist anders’  Vienna is special. Since this slogan for the Austrian capital was coined many years ago, it has become a popular catchphrase in Vienna  and rightly so. As Mayor and Governor of this city I am in the fortunate position of not having to compromise between quality of life and economic growth. Vienna has produced a perfect combination of a high life style, a thriving economy, and ecological sustainability  as shown year after year in international city rankings. 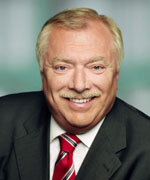 In a conscious and consistent effort to boost Vienna’s locational attractiveness for businesses from Austria and abroad, we have developed a wide range of targeted measures: different types of business promotion and technology funding, new training and education initiatives, streamlined business licensing procedures, assistance for international companies relocating to Vienna, and many more. Since ten new Member States joined the EU in May 2004, Vienna’s geographic position at the heart of the “new” Europe has, of course, added further to our competitiveness as a business location. Vienna’s present role as the largest city in a region of four countries, four cultures, and some six million inhabitants within a diameter of just 100 kilometres is unparalleled worldwide. To optimise the economic benefits and infrastructure effects, political representatives from all parts of this region have joined forces to establish the “Vienna Region“, or “Centrope”, as it is referred to at EU level. Vienna benefits from its long-standing tradition in many ways, especially in the cultural sector. But when it comes to business, our primary focus is on trends for the future. It is our declared aim to become a “city of knowledge” that draws innovative minds from all over the world. Renowned scientists such as the father of “beaming”, quantum physicist Professor Anton Zeilinger, have already initiated the establishment of a “University of Excellence” in Vienna. We are committed to projects such as this because we believe that local businesses need both top researchers and a workforce with top qualifications. This is what gives us a competitive edge, even if it is neither our wish nor our position to compete with production costs in Asian or Eastern European low-wage countries. Our stakes are in quality, sustainability and development. For this reason we especially support high technology, biotechnology, medical technology, the entire field of life sciences, private-sector and university research, creative industries, and communications technologies  to quote only some examples. We are fully aware that Vienna is not the world’s prime location for heavy industry, but we can easily hold our own against competitors in other fields. I would like to give a concise overview of what we are undertaking in order to make Vienna almost irresistible as a business location  though, needless to say, the following list is far from complete. If you come and set up business here, you will no doubt find out that this city has far more benefits than can be described in a few pages. The Vienna Business Agency, established by the City of Vienna in co-operation with the Vienna Chamber of Commerce and Industry, provides an effective funding tool and a contact point for businesses in Vienna. The Vienna Land Procurement Fund was set up to assist in locating and developing suitable plots for promising business projects. Businesses intending to settle in Vienna will find a variety of highly creative support options designed by the City of Vienna  even including the construction of suitable premises. With investments totalling 22.6 percent of the GDP in 2003, Austria has a high propensity to invest  well above US levels. It is thus guaranteed that businesses settled here will have a competitive, state-of-the-art business park at their disposal over the coming years. Expenditures on research and experimental development in Vienna make up more than 3.5 per cent of GDP. This figure is well above the Austrian average  and even higher than countries such as Finland (3.4 per cent), Germany (2.5 per cent) or Denmark (2.4 per cent). Vienna is Austria’s primary centre of export development. The new EU Member States have been, and continue to be, Austria’s main growth markets. They are Vienna’s “natural home market”, with a population of some 200 million people  and prospects for economic growth are exceptionally good as the EU continues to grow. The City of Vienna has established its own Employee Promotion Fund to sustain targeted investments in advanced employee training. The Fund is highly effective in raising staff qualification levels in Vienna, which in turn benefits local businesses. Providing high-quality training opportunities for the people who live and work here is our most effective strategy against unemployment, and constantly decreasing unemployment figures for Vienna are the most encouraging result. Economic feasibility studies for production sites have shown that high technology production processes in Vienna compare well with international benchmarks. High productivity and quality of employees in Vienna allow many lines of business to take the lead where costs are concerned. A high density of qualified employees (technical workers, academics, technical college graduates) from practically all European language groups make it highly cost-effective to monitor markets and control corporate groups when based in Vienna. The City of Vienna organises and finances specific training programmes geared to the requirements of individual businesses, thus ensuring adequate yet cost-effective qualification of employees as required. 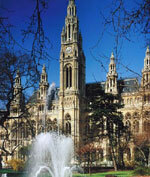 Vienna is the second largest university city in the German speaking area. Thanks to its top educational standards and historical significance the city attracts a growing number of students from all over Europe, the USA, and all Asian countries. This intellectual and cultural potential provides a pool of manpower for international businesses to draw upon. Vienna International Airport is a junction of flight routes with daily direct connections to virtually all European capitals, and the largest number of flight connections to Central and Eastern European cities. There could hardly be a better argument in favour of Vienna as a base from which to operate markets and corporate groups. Property and office prices in Vienna are more than moderate by international standards. Prices for rent or ownership of comparable quality and development level are well below those in other western cities, and even lower than in Prague or Budapest. Attractive rental prices for special-purpose real estate, such as laboratories or studios, are made possible by Vienna’s supply policies and the Vienna Business Agency. Yet, with all this business information, we must not forget the ultimate driving force behind economic success: the human factor. If both managers and staff are happy with the place they work in, general satisfaction and increasing productivity are a foregone conclusion. Given that you can step out of the Vienna State Opera at midnight and take a comfortable ride home by public transport without having to worry about your safety; given that you can be sure your children are well taken care of in multilingual schools, and that lakes and mountains are only a stone’s throw from the city, you are simply bound to enjoy working and living here. As a model environmental city, we thus have all the more reason to promote soft location factors such as culture, environment and leisure time activities. And again, the effectiveness of our strategy is confirmed in practice: Vienna regularly reaches between first and third place in various rankings on the quality of life in more than 200 capitals and major cities worldwide. There are several reasons for our success  ranging from low crime rates to the high quality of both air and drinking water. Tap water in Vienna comes straight from the Alps. The City Administration has its own department, the Vienna Forestry Office, working meticulously to keep forests healthy in the headwater regions of provinces delivering to Vienna. It fills me with pride that I can justifiably call Vienna the city with the best drinking water and air quality worldwide. No wonder, given its location at the foot of the Alps, with its own mountains in the “backyard” of the city, and with the Danube valley as a wind corridor. It also benefits from an extensive, “green and clean” public transport network. Right now the City of Vienna is simultaneously extending two of its underground lines right to the city limits. And Vienna was one of the first cities in the world to switch its entire public bus fleet to eco-friendly LPG (liquid petroleum gas) vehicles. Vienna’s environmental protection policy makes for a clean and beautiful city, and it helps to keep the Viennese in good health. As regards healthcare services, the city is committed to ensuring that all people living here have access to excellent medical services  regardless of income differences. It is my personal conviction that there must be no distinction between patients  no first-class and second-class. Everyone in Vienna who has a health problem deserves and gets the best possible medical assistance without delay. The same applies to services for the elderly members of our population. Dignity in old age is much more than an empty phrase here  and has special significance in a city like Vienna, which lay in ruins after the Second World War and was rebuilt to be more beautiful than ever. This was mainly achieved by what is known as the reconstruction generation in Austria, and the members of this generation now need our help and assistance. Implementing the principle of solidarity every day and in all areas of life is my personal duty and task, and part of my mission as Mayor of Vienna. As one of the wealthiest regions in the EU, we are willing and able to help where our help is needed. In Vienna, this philosophy applies to the frail, sick and elderly just as well as to refugees and people facing disability or unemployment. But rather than handing out charity, we are working together to promote social cohesion. This, in essence, is the most fascinating challenge in my work as Mayor of Vienna. And after ten years in office, I must admit: I am more in love with this city than ever.